Learn from an expert about the federal budget and implications of long deficits. 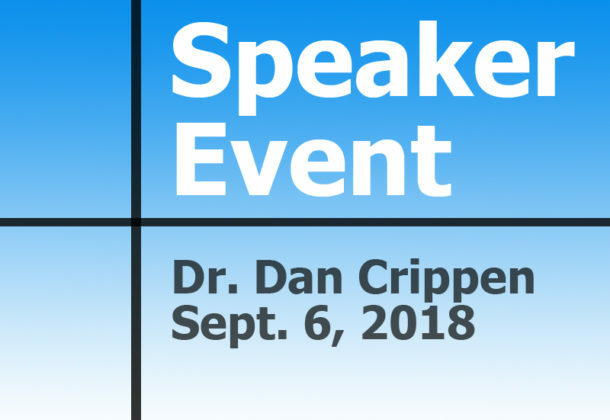 Through a partnership with the Center for the Study of Democracy at St. Mary’s College of Maryland, Dr. Dan Crippen, former director of the Congressional Budget Office, will speak Thursday, Sept. 6, 2018, at the college. After Dr. Crippen speaks, retired US Navy Joseph Dyer will have a one-on-one conversation with him and take questions from the audience. The Patuxent Partnership is co-hosting and helping to publicize the event. Dr. Crippen will begin his speech at 6 pm. He is a member of the board of directors of the Committee for a Responsible Federal Government; board of trustees of the Center for Health Care Strategies; former executive director of the National Governors Association (2011-2015); and former director of the Congressional Budget Office (1999-2003). VADM Dyer is commissioner of the Section 809 Panel; former chief strategy officer, chief operation officer and president at iRobot Corp.; and a former commander of Naval Air Systems Command. The Patuxent Partnership is also set to receive the St. Mary’s College of Maryland Trailblazer Award during the program. Other recipients of the award include SMCM Trustee Donald “Donny” Bryan ’73, the first African-American to graduate from St. Mary’s College’s four-year program; President Emeritus Edward T. “Ted” Lewis, whose leadership over the course of 13 years took St. Mary’s College from a generally unknown college to a nationally recognized public honors college; and Julie Croteau, a 1993 graduate who became the first female to play NCAA men’s baseball. While the event is free, advanced registration is requested to manage seating. The event will be held at St. Mary’s College of Maryland in St. Mary’s Hall.